Regardless of treatment modality, men with Gleason 10 prostate cancer have high 5-year overall survival rates, new study finds. Aggressive therapy with curative intent appears to be highly successful in men with Gleason score (GS) 10 prostate cancer (PCa), according to a new study published in the International Journal of Radiation, Oncology, Biology, Physics. “Overall, we found that survival outcomes following definitive treatment for Gleason score 10 prostate cancer are actually quite good, with 5-year overall survival rates approaching 80% regardless of treatment modality,” said study investigator Amar U. Kishan, MD, from the Department of Radiation Oncology at the University of California, Los Angeles. The team did not find any robust differences in outcomes associated with any specific upfront treatments, although external beam radiation therapy (EBRT) plus brachytherapy with long-term androgen-deprivation therapy (ADT) appeared to be associated with superior distant metastasis-free survival (DMFS). Overall, multimodality treatment with an emphasis on both local and systemic control is critical for men with GS 10 disease, according to the researchers. Because of the rarity of GS 10 PCa, there has not been a great deal of investigation into the long-term clinical outcomes and overall prognosis for this patient population. Dr Kishan and his collaborators examined a cohort of 112 patients with biopsy-proven GS 10 disease. 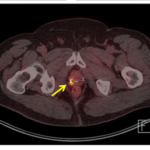 All of the men received definitive treatment with either radical prostatectomy (RP), EBRT, or EBRT plus brachytherapy from January 2000 to December 2013. Of the 112 patients, 26 had undergone RP, 48 underwent EBRT, and 38 received EBRT with a brachytherapy boost. The researchers used Kaplan-Meier method to estimate overall survival (OS), cancer-specific survival (CSS), and DMFS. The median follow-up was 4.9 years (3.9 years for RP, 4.8 years for EBRT, and 5.7 years for EBRT plus brachytherapy). In this cohort, significantly more patients who received EBRT alone received upfront ADT (98%) than patients who received EBRT plus brachytherapy (79%). ADT duration, however, was similar (24 vs 22.5 months). The propensity score adjusted 5-year OS rate was 80% for the RP group, 73% for the EBRT group, and 83% for the EBRT plus brachytherapy group. The adjusted 5-year cancer-specific survival rates were similar among the 3 treatments: 87% for RP, 75% for EBRT, and 94% for EBRT plus brachytherapy. Patients who had EBRT plus brachytherapy group had a non-significant 70% decreased risk of distant metastases compared with RP recipients and a significant 60% decreased risk of distant metastases compared with the EBRT group. Dr Kishan said these data may provide useful prognostic benchmark information that can benefit physicians and patients. Yair Lotan, MD, Professor and Chief of Urologic Oncology at the University of Texas Southwestern Medical Center in Dallas, said study is a valuable addition to the medical literature because very few studies have focused specifically on GS 10 patients. “The study is relatively small and not randomized. So the outcomes data are valuable as a benchmark, but cannot be used to recommend one therapy over another,” Dr Lotan said. These new data suggest that many patients can be cured by aggressive local therapy if they do not have metastatic disease. 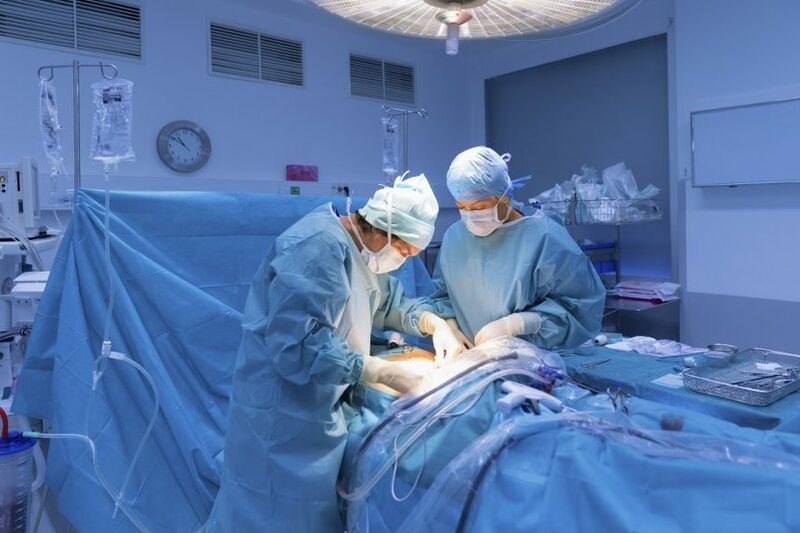 “The controversy is whether the risks of surgery or even radiation are worthwhile if the disease will recur systemically anyway, but these results and others suggest that the risk is worthwhile since many patients can be cured,” he said. William Catalona, MD, Professor of Urology at Northwestern University Feinberg School of Medicine in Chicago, said that although the authors used propensity matching to reduce biases, such analyses have significant limitations. Dr Garzotto pointed out, however, that the 5-year OS rate “was only around 80% for the entire group.” Data from the Surveillance, Epidemiology and End Results (SEER) program show that 5-year OS for local and regional cancer is about 99%. Sandler KA, Cook RR, Ciezki JP, et al. Clinical outcomes for patients with Gleason score 10 prostate adenocarcinoma: Results from a multi-institutional consortium study. Int J Radiation Oncol Biol Phys. 2018;101:883-888.